Divya Shankhpushpi Churna is an ayurvedic product of Swami Ramdev's Patanjali Ayurved and Divya Pharmacy. 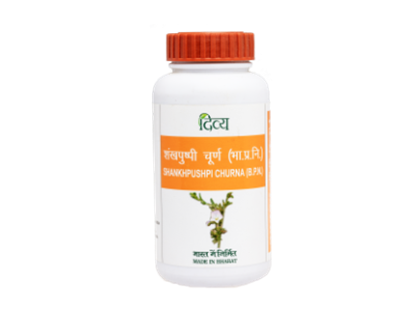 Divya Shankhpushpi Churna is a herbal powder and it goes directly to Brain and treats disorders of the nervous system; pain, anxiety, insomnia, epilepsy and convulsions. It alleviates stress and promotes the integrity of the nervous system. Shankhpushpi is a very safe to use herb and is not known to have any side effects. Can be used by all age group. Dose : 3-6 gram powder twice or thrice daily empty stomach with lukewarm water or milk or as directed by the physician. Indications : Useful in manas rog, apasmar. 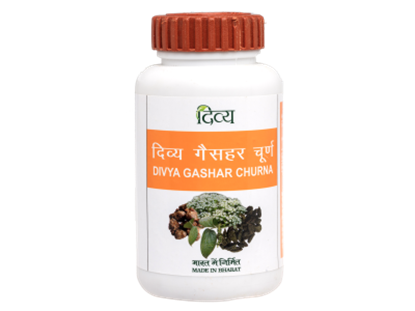 Divya Gashar Churna is a very effective digestive medicine that aids digestion. It stimulates digestive enzymes and heals digestion disorders naturally. Accumulation of gas leads to headache and discomfort. The churna is a combination of herbal powders with antacid properties. It soothes acidity and suppresses restlessness from gas. 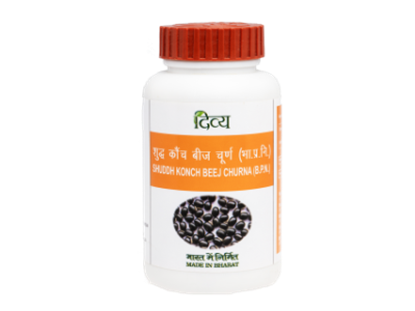 Divya Gashar Churna fortifies your digestive tract and increases appetite. Don't let acidity and heartburn hold you back from enjoying the good life. Take Divya Gashar Churna to experience long-lasting Ayurvedic healing. 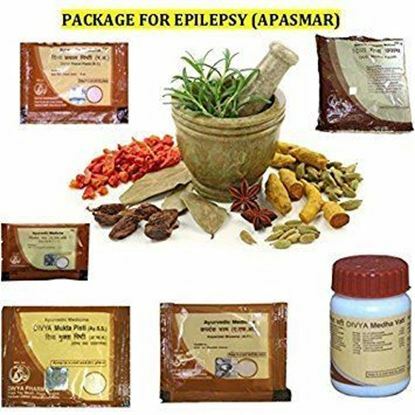 Epilepsy is known as ‘Apasmara’ in Ayurveda. This disorder happens because of abnormal electrical activity in the brain leading to seizures or fits in which the patient convulses violently and may become unconscious or very confused. By an estimate, about 5 – 10% of the world’s population above the age of 80 undergo an epileptic seizure at least once, but they do not necessarily have epilepsy.